At Industrial Brake & Supply, we have been producing and distributing high quality friction products for over 40 years. We serve clients in Ohio, Tennessee, Pennsylvania, West Virginia, South Carolina, Georgia, and Florida, producing products that are used in both in-plant applications and industrial on and off highway applications as well. 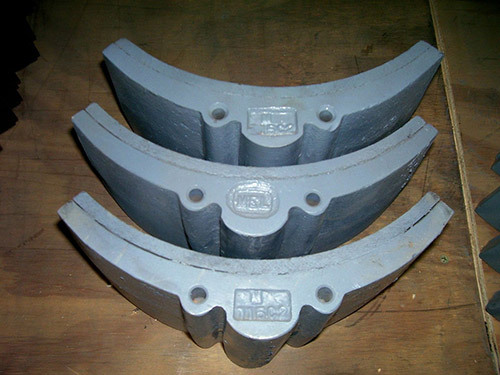 Our overhead crane brake products are perfect examples of this, and they come in a variety of sizes and types to suit this segment of the industry. Our quality overhead crane brakes come in sizes up to 30" in diameter, and run the gamut of component types associated with this product. 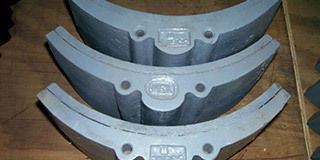 We manufacture brake wheels of ductile iron in sizes of 8" to 30". 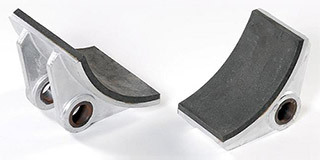 We create brake shoes that run from 6" to 30" in diameter, and we fabricate brake linings that are made-to-order based on our client’s specification. We also create brake accessories and replacement parts to round out our comprehensive services in this area. The quality of these products is proved by the clients who purchase them. Our overhead crane brake products are employed by many industry leaders, including Alliance, Clark, Cutler Hammer, GE, Harnishfeger, Wagner, Westinghouse, and many more. To learn more about these quality friction products please contact IBS directly.